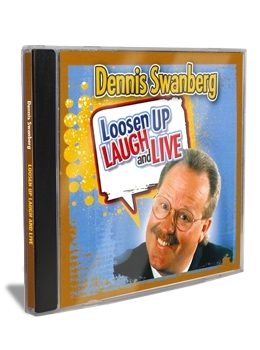 Recorded "live" and shown around the world, this DVD from "The Swan" will have you laughing till it hurts! If you are ready for a roller coaster ride of fun, “Loosen Up, Laugh and Live" is sure to have you laughing till it hurts. This "live" recording has literally been shown around the world. With clips on YouTube reaching close to 10 million, you will see why this performance continues to be a favorite of fans everywhere. So join “The Swan” as he takes you down memory lane with a lot of laughter and possibly even a few tears. He'll help you kick back, let go and laugh all the way. "Loosen Up, Laugh, and Live" includes these great tracks!